This we knew, but now things are getting ugly. Even setting aside the actual product on the ice for a moment, the recent history of the Islanders in Nassau County has been miserable. A terrible lease for a terrible arena has kept them shackled in a county that can't afford to pay for anything even if it was interested in paying for anything. 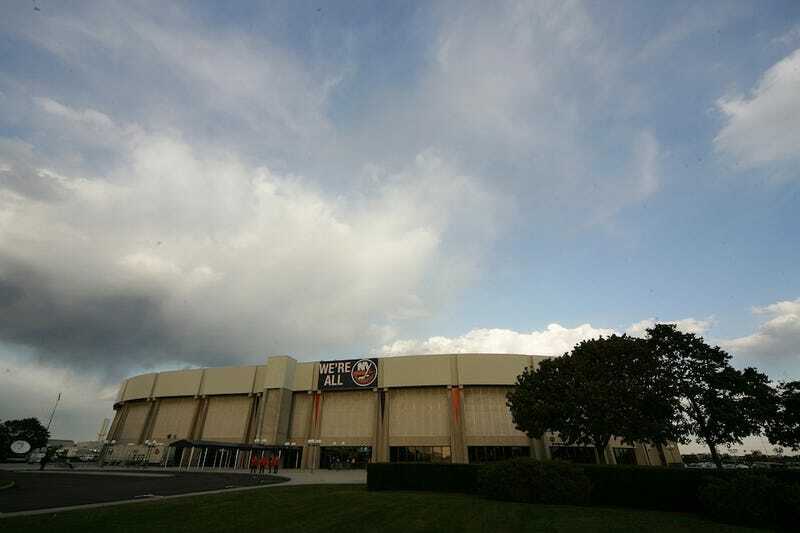 Now that the Islanders are leaving when the lease finally expires in 2015, Nassau County is doing some accounting and it's found that the Islanders and the Coliseum management company, SMG, have not been paying their bills. Newsday reports that two letters have been sent in the past 12 months to the Islanders detailing the monies owed, including, among other debts, rent ($607,502), electric ($2,411,042) and water ($1,114,688) since 2011. According to Newsday the county has been corresponding almost exclusively with the Islanders, which is strange given the relationship between the two: the county owns the Coliseum and has a lease with SMG who in turn subleases the arena to the Islanders. County comptroller George Maragos even noted that the principle agreement is with SMG—headquartered in Pennsylvania—while continuing to write to the Islanders. Think of subletting an apartment. You're not paying the owner, you are paying the person who you leased from. Maybe the Islanders are of the opinion that this isn't their problem. "Unfortunately, it sounds like the Islanders are really shortchanging the county at this point and that it's going to take a great deal more diligence on the part of the county to keep the Islanders current," Legis. Wayne Wink (D-Roslyn) said. "It's clearly one of the major facilities the county owns and operates and consequently it's something we need to be incredibly diligent about — at least making sure that we're getting our fair share." This is why the Islanders are leaving. A total inability for either side to see the other's position. The Islanders feel trapped and like the county refuses to help, the county thinks the team's not doing enough to pull its weight both financially and with the team itself. The Islanders want a new arena because the Coliseum is a tomb and, for the County, it is clearly one of its major facilities. There's no sense arguing, both sides have a point, it's become irreconcilable. So, now that the Islanders will basically be sleeping on Nassau County's couch for the next two years, the "fluid, cooperative relationship" as county spokesman Brian Nevin described it is neither fluid nor cooperative and it's time to pay.